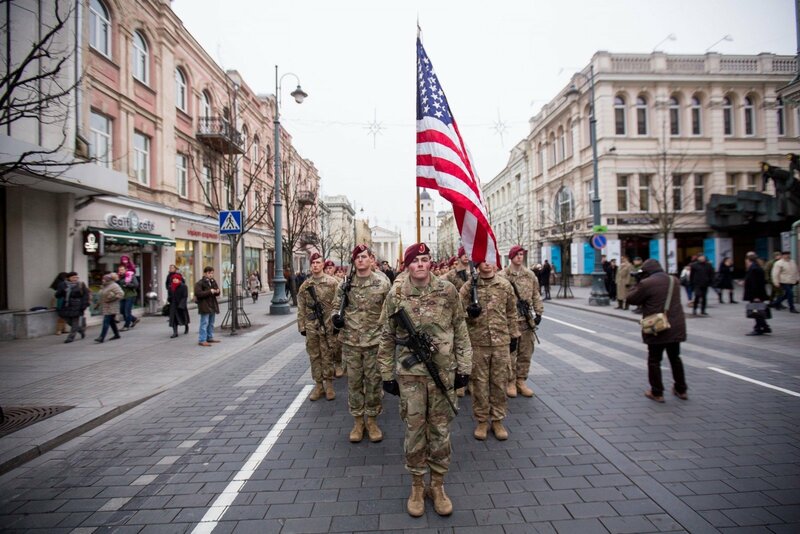 The Seimas on Tuesday launched the procedure of ratification of Lithuania's agreement with the United States on the status of American troops in Lithuania. A draft law on the ratification of the agreement passed the first reading at the parliament with 112 votes in favour, none against and none abstaining. The lawmakers also agreed to debate the bill under the so-called special urgency procedure, as requested by President Dalia Grybauskaitė. That means that a final vote on the ratification will be held within three hours. "Undoubtedly, the United States is the main guarantor of our security and Lithuania's strategic defense and security partner," Deputy Defence Minister Vytautas Umbrasas told the parliament. "After Russia's aggression in Ukraine in 2014, the United States was the first to send to Lithuania additional air-policing jet fighters and companies for continuous presence, thus confirming that the US cares about Lithuania's security too," he said. The deal was signed by Lithuanian Defence Minister Raimundas Karoblis and Anne Hall, the US ambassador to Lithuania, on January 17 and will take effect after it is ratified by the Seimas. The agreement gives the US jurisdiction over crimes committed by its military personnel, but allows Lithuania as the host nation to take over jurisdiction in cases of particular importance to it. The document also gives the US the right to use certain military facilities, although these facilities remain in the ownership of Lithuania. Latvia and Estonia also signed similar agreements with the US this year. Such bilateral agreements on defense cooperation, which define the status of US troops and their families, are signed at the US initiative. A company-sized US unit has been stationed in Lithuania since in 2014 and a battalion from the US brigade that is being deployed to Poland is expected to frequently come to Lithuania for training.